Whoa what?! Do you not see this trace here? Your voltages are perfect now, so is there no trace or has the pad become disconnected somehow? yeah sorry I meant there's no scratches on the line from SVO to Q5... but I looked into it and I think I might have burnt the circuit from Q5 to SVO. Last edited by SPDecoste; 03-16-2019 at 01:51 PM. Q1 and Q2 seems fine, pin left and middle have continuity for both and I don't see any circuit for right pin..
Last edited by SPDecoste; 03-16-2019 at 02:02 PM. 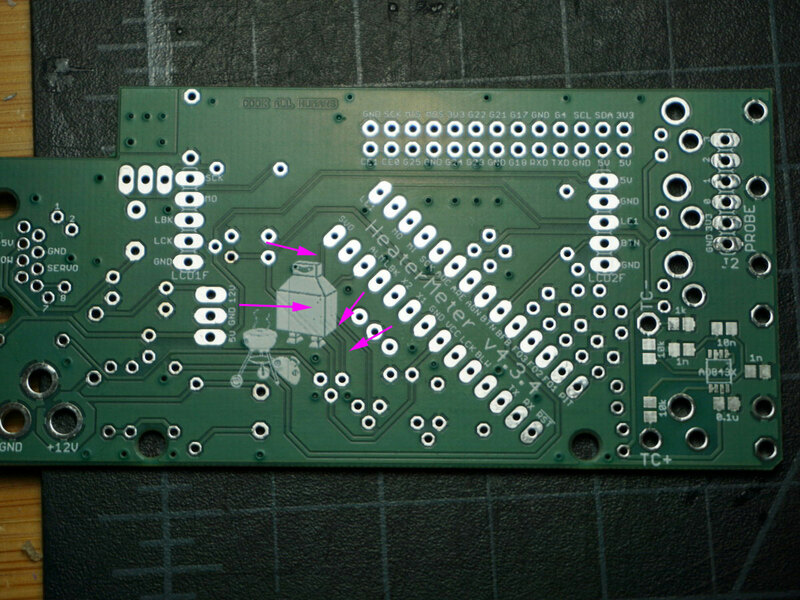 Just clean up the board where you have burned it, remove any fragmented pieces of the damaged traces so they do not short things out, then put jumper wires in place to replace any traces that are damaged. Easy to do and will work just fine. Hope this will work! What should I use to clean the board? The way you say it sounds really easy, but I actually have no idea what I'm doing. I don't want to mess things up even more! Is there a little tutorial or guide I could refer to? I'm sure youtube has a tutorial on this sort of thing. Basically if I have charred/burned board I usually scrape away the burned stuff with a blade or metal brush, common soldering tools experienced guys may have, but you can get the job done with any number of common tools. Next, install you parts, solder up the parts where the traces remain, then use some small gauge wire (solid core makes things easier) to solder a connection where the burned up traces would have gone. Cat5 or phone wire make good choices as they are thin and usually solid core. Try to cut the wires to precise lengths so they sit neatly on the board so they wont get disturbed when handling it. The most simple solution would be to remove the transistor and the resistor and solder a wire directly from the ATMega SVO pin to the SERVO pin on the CAT5 jack. The servo will work without the servo booster which is what that transistor or resistor make up, though it does help stabilize the servo over longer cable runs. I personally would get the booster back in there, as it is a very simple circuit, easy to hand wire or repair. I'll try to clean things up today. Thanks for the advices! I guess I could use a jump wire from SVO to Q5 bs170 right hole? Last edited by SPDecoste; 03-17-2019 at 04:19 AM. Everything is working right now! I jumped wired from SVO to Q5. middle is at 3.28V and right pin at 0.50V. The 1k resistor goes from 5V to 0.70V to Q5... is that normal? Great! That left pin voltage sounds fine, it should be 5/3.3 * the right pin voltage +/- a bit. 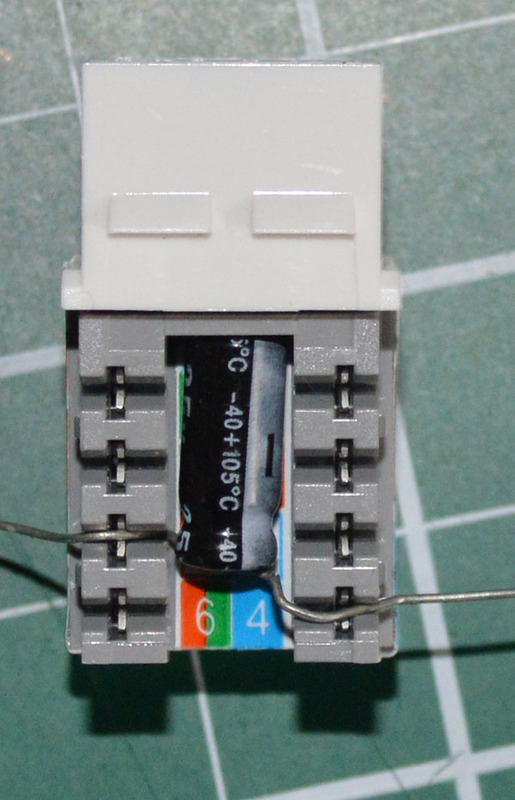 If the servo is jittery, a capacitor on the far end of the output (closest to the servo) usually helps that. If it is just buzzing, make sure it isn't binding and unable to move. Thanks for all the help Bryan and Ralph! Very happy that everything is sorting out. The servo is shaky a bit, moving 1 degree and making a ticking sound like it wants to move (the screw is not too tight)... Is this what could fix it?